These are the Forester 80 Tooth Brush Blades 8" and 1" Arbor. We have three sizes available 8", 9", 10", in both 1" and 20mm arbors, all listed in our store. 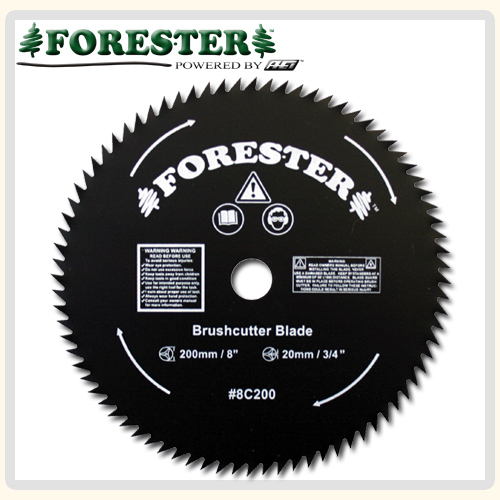 Use these blades to turn your trimmer into a brush cutting machine. It is strange to say I actually enjoy cutting brush with these blades. I think you will also.